Schmitt NC, Sharma, Gilbert MR, Kim S. Early T stage salivary duct carcinoma: outcomes and implications for patient counseling. Otolaryngol head Neck Surg. 2015 Nov;153(5):795-8. doi: 10.177/0194599815601659. Epub 2015 Aug 25. Kim S and Shillitoe E. Human papillomaviruses in HNSCC. In Head and Neck Cancer (Ensley J, Gutkind S,Jacobs JR, and Lippman, SM, Eds) Academic Press, San Diego. Kim S and Weber RS. Hypopharyngeal Cancer. In Otolaryngology – Head and Neck Surgery, 4th Edition (Bailey BJ, Johnson JT, Newlands S, Eds) Lippincott, Williams and Wilkins, Philadelphia, 2006, Vol. 2, Chapter 119, pp. 1691-1710. View Dr. Kim's most current publications. 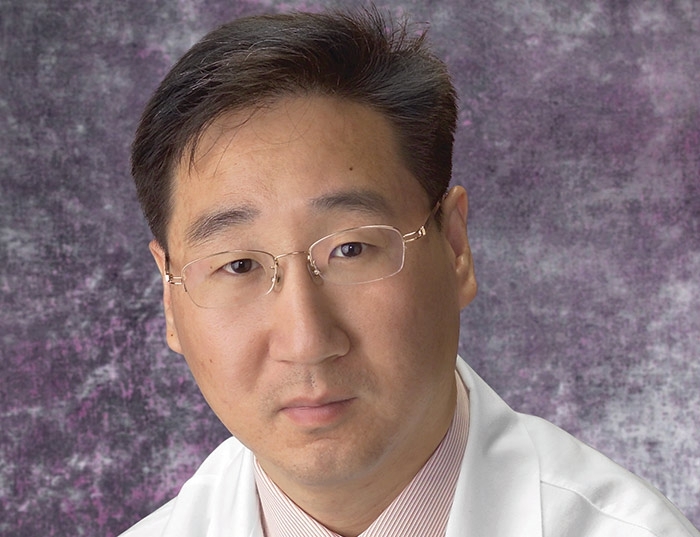 Dr. Kim’s clinical interests include advanced skin cancer, oral cancer, and thyroid cancer. He has authored several publications regarding the development of novel therapies for thyroid cancer and is currently working to develop antiangiogenic and targeted therapy for head and neck cancer.